There were 9 pairs entered and they contested a single group. In order to give everyone a reasonable amount of badminton it was decided that a single game to 31 points would be used with no setting. There were some pretty close matches with 5 being won 31-30. Some of the handicapping proved to be a little awry however and this impacted on some of the matches. However the top positions were very close and the winners were in doubt until the final round of matches had been completed. The tournament was won by Carl & Nili who lost only one match, a close fought affair against JJ and Babs. 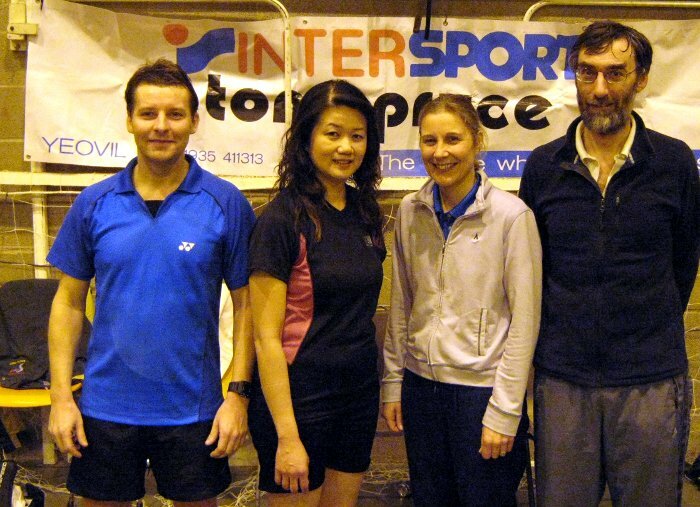 Second place went to Lindsay & Jane while Roger & Hollie came 3rd.